More personality than Google Now and more personal than Siri. 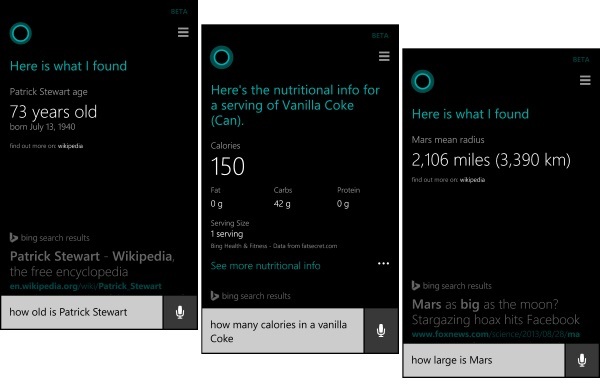 Cortana is Microsoft’s personal assistant, providing a natural language interface to Windows Phone 8.1. Even though Cortana is not available in the UK yet, I switched my regional settings to US to enable her. If you don’t know already, Cortana takes her name from the AI computer in the Halo series of video games, published by Microsoft Studios for the Xbox. In the Halo universe, she assists Master Chief throughout their adventures – getting emotionally attached along the way. Today’s Cortana shares the same name, voice and some of the attitude, though the primary focus is for her to be a loyal employee. The development team went out and interviewed real personal assistants – the ones who look after calendars and communications for business executives. The aim was to build a personal assistant who is able to anticipate the needs of their boss – the user – before they know what they need. While Cortana doesn’t share the same visual appearance of her namesake, the abstract appearance is probably one of the smartest moves the development team could have made. Using animations to give emotion, Cortana will look pleased to see you when you load her up, as well as looking thoughtful when processing requests. It’s my understanding this will be expanded and improved upon as time goes on, allowing her to look sad when your favourite sports team has just lost a match. 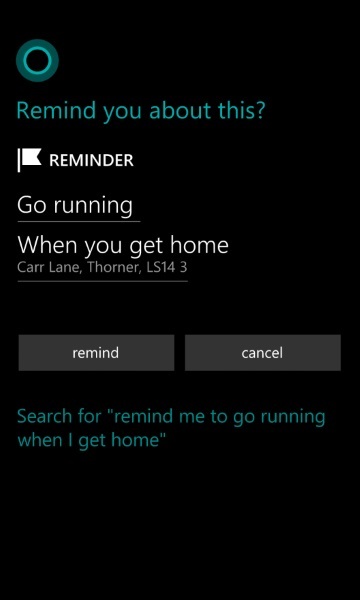 Reminders through Cortana are very powerful for me in many ways. I use my Office 365 calendar all the time – and Cortana can interact with that by creating and managing appointments, but she can also create what I like to call ‘disposable reminders’ which are essentially one-off reminders that are based on time or location. 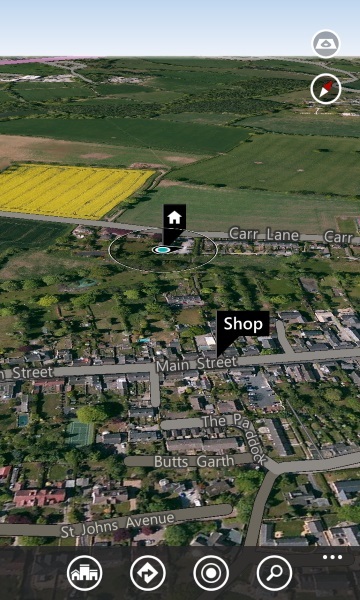 The places Cortana knows are powered by the Bing Maps service, something I’ve already been using for years. From day-one I had the benefit of Cortana already knowing about the dozens of places around the world I’d previously marked as favourites. Cortana now lets me to go one step further by giving these places a nickname. This allows me to say things like “remind me to pick up eggs when I go to the shop” and she’ll know I mean my village shop. If I want to be a little less specific, I can say “remind me to pick up eggs when I go to Tesco” and Cortana will ask me “which Tesco?” and I can reply “Any”. This is great for when you are traveling or staying away from home and just want to use any store. She’ll also tell you which one is closest, naturally. 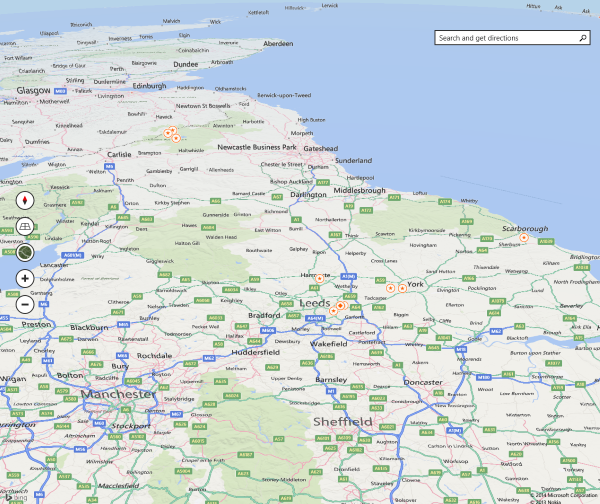 Travel can also be tracked by Cortana, though I haven’t had the opportunity to try it yet. It’s my understanding that she can track flights as well as provide useful information like weather and currency exchange rates for your local destinations. Answers to queries like these are also powered by Bing – my search engine of choice. However she does get stumped at some things. For example, when I asked her the current phase of the moon, she didn’t know the answer. Things will no doubt get better though, and I already think she’s become a valuable asset to me in the pursuit of getting things done, and being productive. Hi, Cortana! I hope we can be friends. I have enjoyed using pen input for Windows since my first Tablet PC. 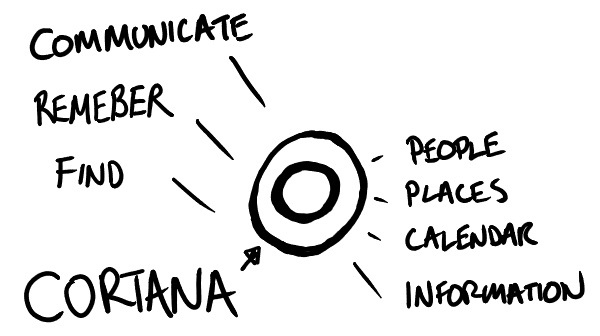 Using a pen allows you to draw and make notes using ink, as well as be more precise with the cursor when required. Personally I find the pen that comes with the Surface Pro 2 to be quite agreeable… but I do know that people generally complain about a couple of points. The first is that you clip the pen on the side where the charging port is – this is a bit like an after thought, but when space is a premium – it’s not a surprise. The second is that it’s a bit light and plasticky for a £25 pen. 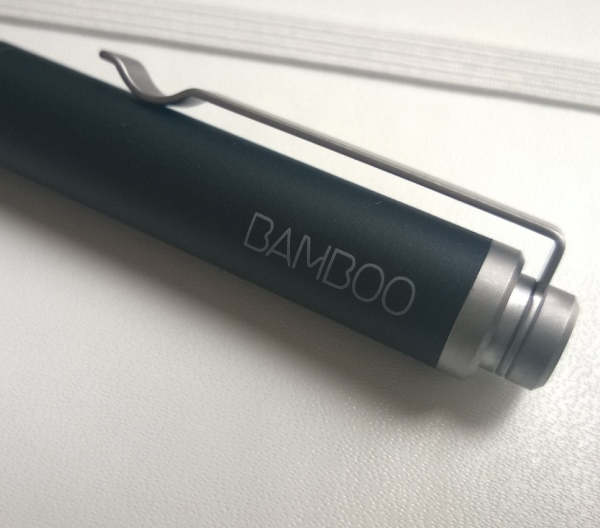 There’s not much you can do about the first one complaint, but the Bamboo Stylus Feel is a good alternative if you want to have a premium pen-like feel. 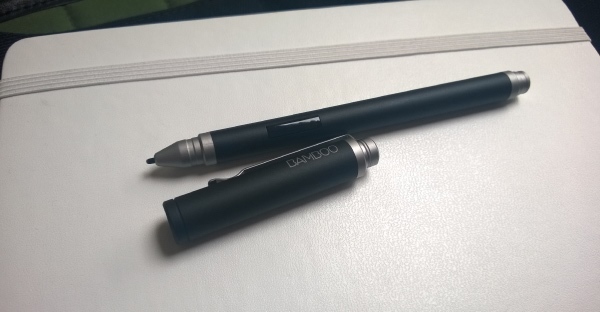 As the price of the Bamboo Stylus feel had come down to less than £10, so I thought I’d try it out. If didn’t like it, at least I’d have a spare! I haven’t had a chance to use it very long yet, but already I can tell that it is well worth the money. The build quality is very high, and it feels a lot more premium than the Surface Pen. The weight is good, and the length is slightly longer than the Surface Pen when you place the cap on the end, or shorter when you put it away. It feels great on the screen – slightly softer and less slippery than the Surface Pen. The accuracy is also really good – I had no issues using it right away with the default calibration on the Surface Pro 2, without installing any extra software. The button on the side (which lets you right-click) is totally flush with the barrel, so it’s a little hard to find by touch alone. There also isn’t an eraser on the other end, a feature which I really enjoy on the Surface Pen. It’s worth noting that the packaging stated that it was for the Samsung Galaxy 10.1, but it worked on the Surface Pro 2 without any problems. Be sure to check that the one you get includes the ‘Wacom feel IT‘ technology. There’s also a Carbon version – if you’re interested. 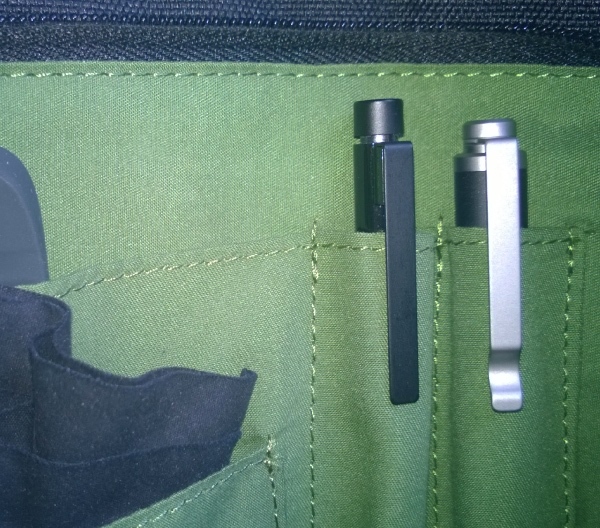 This is going to be the stylus I carry around in my bag with me, but when I’m doing art work, I’ll have both handy. 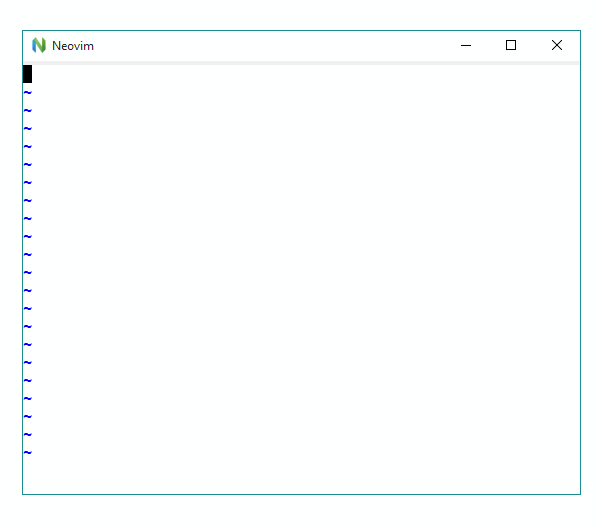 Will Neovim rock on Windows? I have been using Vim on Windows since I switched to 64-bit and edit.com stopped working. Originally I just used the console version inside of PowerShell or the standard command line. In the last three years I’ve been favouring Gvim as my go-to text editor for smaller scripts and utilities. I know for a fact I’m not using everything Gvim or Vim has to offer, but I’m quite happy with the way it works. For example, I have line numbers turned off, but I can turn them on very easily using a quick :set nu. There are some things I absolutely hate though. For starters, what’s this horrible border on the inside of the window, and how can I make it disappear without hacking the whole application and recompiling it? This isn’t Windows 95. Neovim promises to be a refactoring (and reimagining) of the Vim text editor using more modern techniques. The plan is to have the core Vim functionality moved into a new library, which will allow the interfaces to be separated out in a modular way. Modern GUIs written in high-level programming languages that integrate better with the operating system. 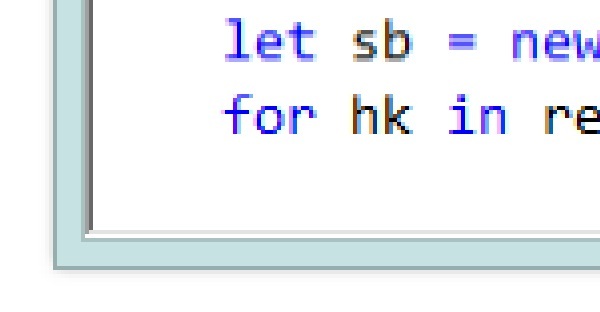 We can have GUIs written using C#/WPF on Windows or Ruby/Cocoa on OS X, for example. 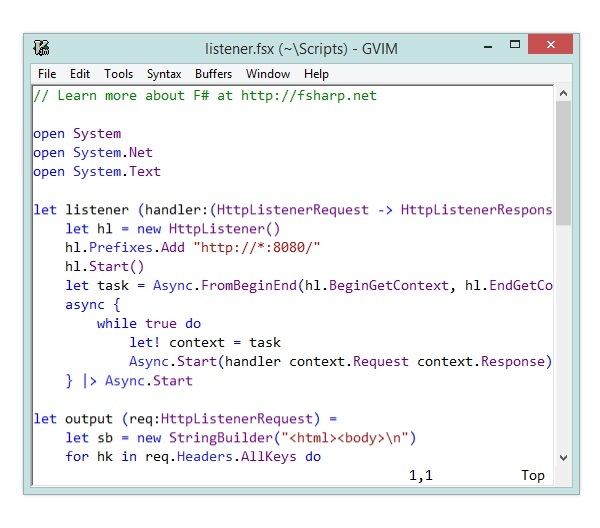 True they’re not saying they will write a GUI using C# & WPF, but someone can. And I like the sound of that. Of course, it’ll be open source – and I’ll be able to edit the XAML to have no borders at all, if I like. Also, here’s hoping we get better PowerShell integration out of this too. So, will Neovim rock on Windows? I sure hope so. I always keep an eye on the Neovim project and recently I though I’d try out the Neovim-QT frontend which actually builds for Windows. Purely from an aesthetic point of view, I think it’s awesome already. But even now (over a year after this original post) there is a long way to go.